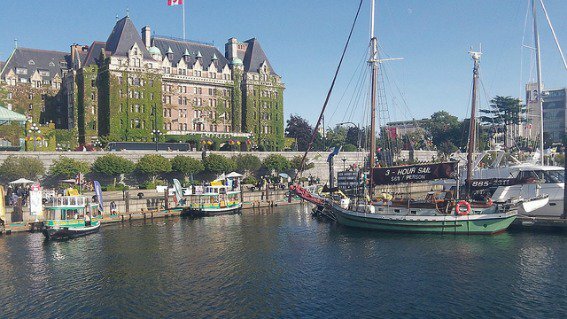 Stepping off a boat or out of a car into the lovely city of Victoria Canada is similar to traveling to another time and place in history. This beautiful city, nestled on a British Columbia harbor, is filled with Victorian era buildings and charm. It has no end of fun things to do and see. Here are some favorite sites and activities, as recommended by Trekaroo families! 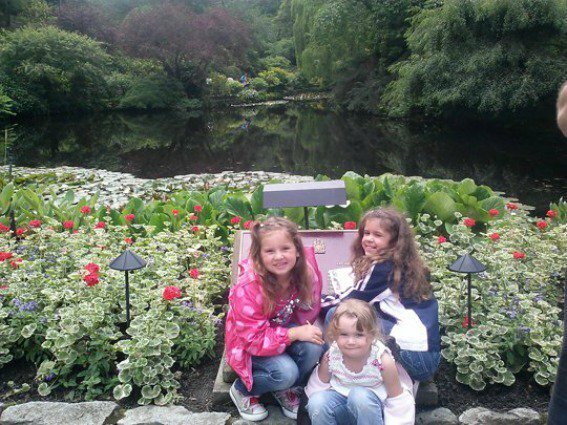 No trip to Victoria would be complete without a visit to the amazing Butchart Gardens. This collection of gardens has deservedly earned a reputation for being beautiful year-round. There’s always something new in bloom and photo ops for you and your kids wait around every corner. Certain seasons offer special events like tours of the Butchart family’s historic home, concerts, high tea, and even fireworks! Visiting the historic Fairmont Empress for afternoon tea is an experience that your family will remember for a long time. This tradition has been going on at the Fairmont Empress since it opened in 1908! 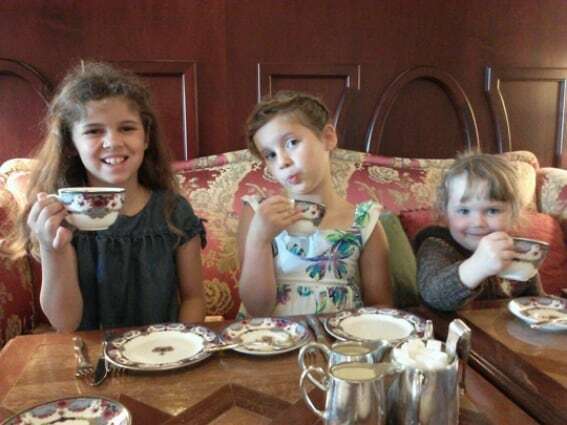 Trekaroo families say that they felt like actual royalty when they enjoyed the high tea experience, and yet didn’t feel uncomfortable visiting with kids. Adult tea includes sandwiches, fruit, cakes, and other yummy treats, as well as a choice of tea. Kids will love the Prince and Princess tea, which offers some more kid-friendly food options and caffeine-free tea. If you have food allergies or need vegetarian options, both are available. So put on your best tiara or top hat and head to the Empress! Government Street is easy to find, as it is located just near the Inner Harbor and the Fairmont Empress Hotel. This street is full of fun shopping experiences with most shops located in beautiful Victorian era buildings. There are souvenir shops, candy shops, restaurants, pubs, bookstores, and more. Explore the shops and sample the treats for sale along the way. Two favorites for my family that we never miss when we are in town are Munro Books and Murchie’s Tea & Coffee! 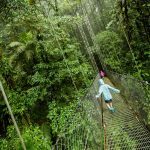 Who wouldn’t love to visit a tropical garden filled with over 3,000 butterflies and exotic plants? 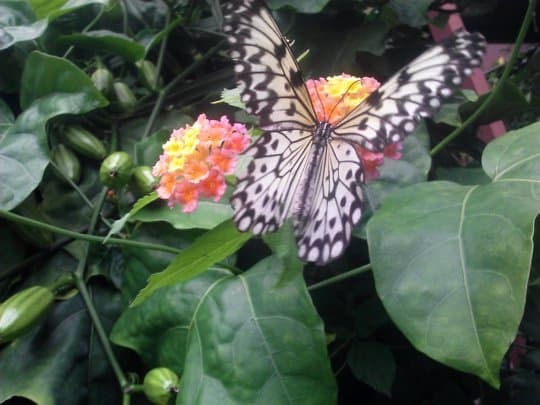 Trekaroo families love the Butterfly Gardens and the chance to see butterflies up close, learn about their life cycles, and also visit with the fish, ducks, lizards, and many other animals at the garden. If you visit this garden in connection with a trip to Butchart Garden with Cruise Victoria Sightseeing tour or with a visit to the Victoria Bug Zoo, you can receive discounts on admission. The Victoria Bug Zoo is another popular destination, especially for the kids. One Trekaroo reviewer referred to the bug zoo as “utterly revolting, which is why your kids will love it.” Avoid this destination if you have a fear of bugs, because it’s full of every type of bug imaginable and they are all available to view up close and personal. You might even have the opportunity to pet one or two of the bugs on display! We never miss a chance to visit the Royal BC Museum when we are in Victoria. There’s always something new to learn! This museum is a great combination of a natural history museum and a museum of the history of the people in the area and the events that shaped Victoria. 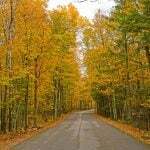 Learn about the various geology and animals of the area. After that, walk the streets of 1900s Victoria inside this museum and see how people used to live and work in this city. The Royal BC Museum also has a fantastic exhibit about the First Nations people who were the original inhabitants of this region. 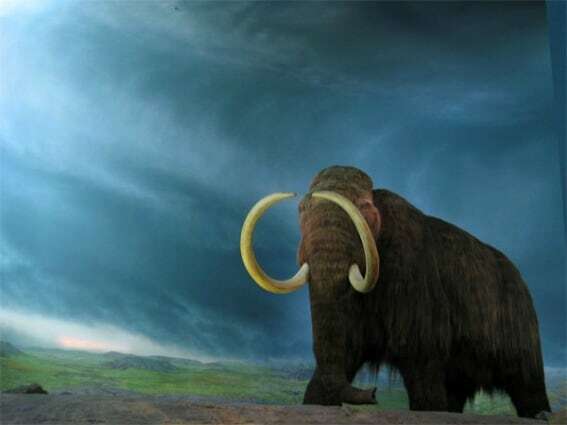 Don’t forget to say hi to the giant mammoth that lives at this museum as well! One Trekaroo reviewer referred to the Royal BC Museum as one of the best kid-friendly museums that she’s ever visited. We think your family will agree! 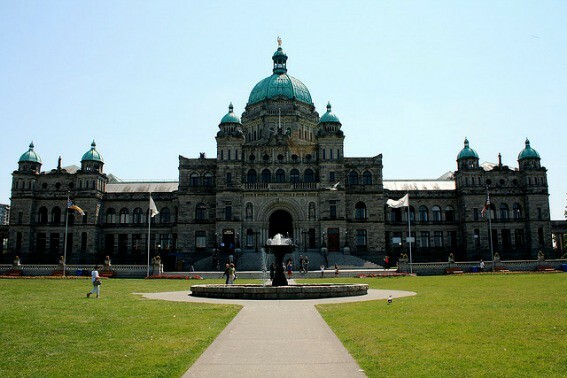 Victoria is the capital city of British Columbia and the gorgeous Legislative Assembly (BC Parliament) buildings are front and center in downtown Victoria. The grounds are beautiful, as is the historic building itself. Free tours are available daily from 9am to 5pm. The tours are only about 30 minutes long, so little ones won’t have time to get bored, but self-guided tours are also available if you need to move faster. If the House is in session, you can observe parliamentary debates from the galleries as well! Does your family love free activities? Do you love animals? 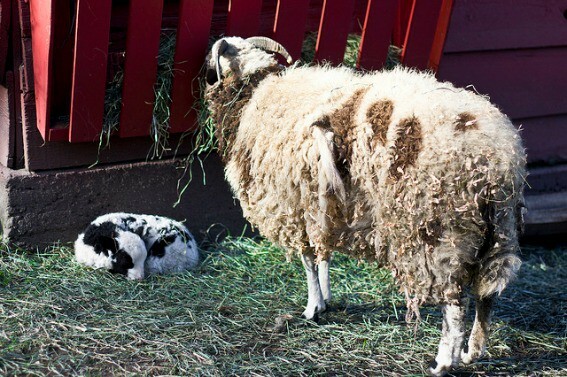 Then head over to Beacon Hill Children’s Farm for the chance to pet goats, admire peacocks, and see other farm animals. If you have the chance, arrive at opening or stay until closing time to see the goats “stampede” into or out of their enclosure! This farm is open seasonally, so be sure to check the website before you go. After you’ve petted the goats, it’s time for your family to explore the other 200 acres of Beacon Hill Park. This park is home to gardens, walking paths, duck ponds, and a great playground. Best of all, the park is located just about a block from downtown and is easy for families to walk to. 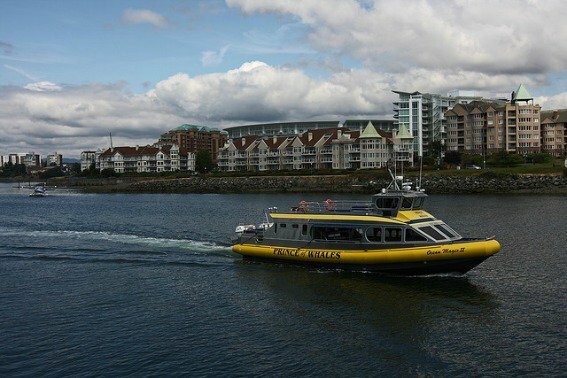 Victoria is a fantastic place from which to take a whale-watching tour. According to Tourism Victoria, there are multiple types of whales to search for, including orca, gray, humpback, and minke whales. These tours are both educational and fun! Numerous whale watching companies operate out of Victoria, so you can pick one that best meets your family’s needs and schedule. Victoria is home to not one, but two castles! 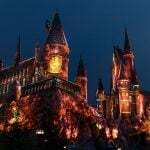 While not as ancient as European castles, these beautiful buildings give families the chance to admire amazing architecture and decor. 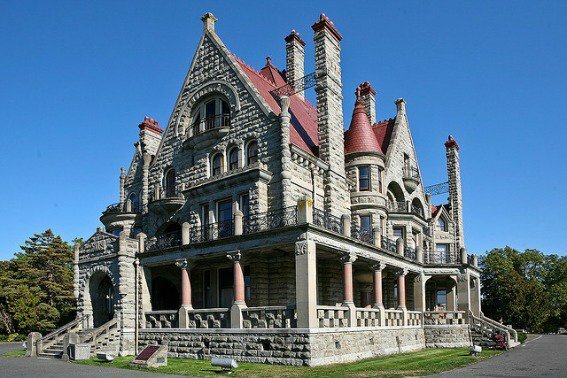 Craigdarroch Castle is a beautiful, Victorian-era home that was built in the 1890s. It is known as “Canada’s Castle” and is another don’t miss when you are in Victoria. The castle is full of Victorian decor and also 32 amazing stained glass windows! 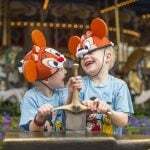 Before you visit with kids, be sure to download the “I Spy” game from the castle’s website to maximize their fun! Hatley Castle was constructed in 1908 and features a turret, fantastic gardens, and teak floors, as well as a collection of artifacts from the time when the area was used as a First Nations burial site to present day. Garden tours are available year-round, while guided tours of the interior of the castle are open seasonally, by reservation. If your kids are anything like mine, they find boats and planes to be endlessly entertaining. Victoria is home to Fisherman’s Wharf, a working bay where boats load and unload, giant ferries bring in passengers and cars, and seaplanes come in for a landing! Trekaroo families recommend picking up a snack and then finding a bench to watch all the seafaring activity going on close by. The Inner Harbor is located in the heart of Victoria and is a wonderful place to stroll and admire street art and performers, drool over beautiful sailboats and yachts moored nearby, and enjoy picture postcard views of the Fairmont Empress and the BC Parliament buildings. For the quintessential Victoria experience, book a room at the historic Fairmont Empress. Built in 1908, this beautiful hotel has been the centerpiece of the city for more than a century. Walking through these halls will make you feel like you’ve stepped back in time. 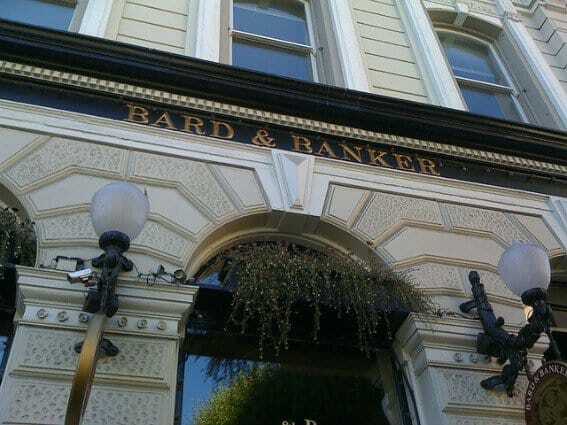 Just try to visit without feeling like royalty! Trekaroo families also recommend the Victoria Regent Waterfront Hotel for its spacious accommodations, great location and fun views of everything going on at the Harbor. 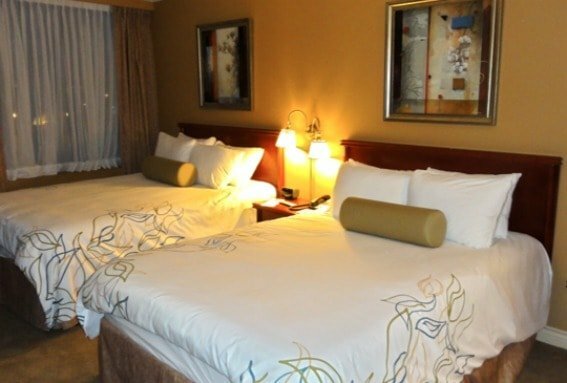 The Royal Scot Hotel & Suites offers spacious rooms and suites for prices lower than the waterfront hotels, but still is located within walking distance to Victoria’s major attractions. An added plus is that it has an indoor swimming pool! 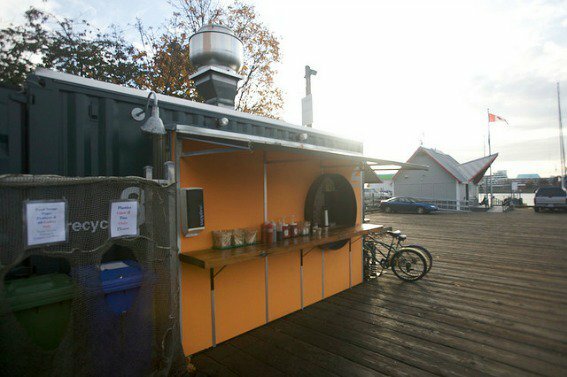 Victoria is located on Vancouver Island, which is full of great family-friendly activities. 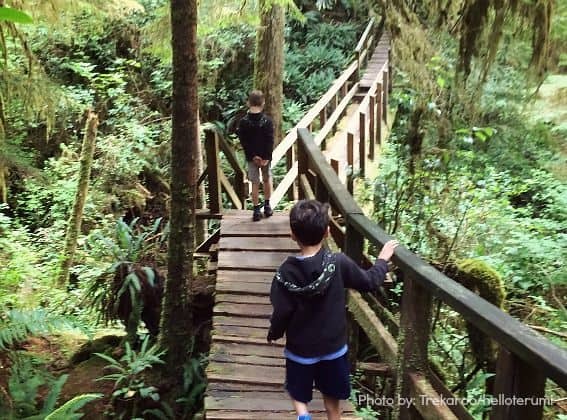 Our Superoo, Terumi Pong, explored the wilder side of Vancouver Island and found suspension bridges, beaches, caves, swimming holes, fabulous resorts, and wonderful restaurants. Read all about her adventures at Adventures on Vancouver Island! 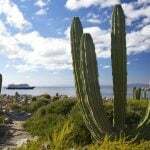 As you can see, there are so many great adventures waiting for your family in Victoria, BC. Leave us a comment and let us know what your favorite thing is about this great little city!